What is it about change that discombobulates us? Once upon a time our favorite bowling center changed their furniture. The bowling center was purchased by a new owner. He had started to fix up the place and change the rules on us. The previous owner had done the same thing but what was different about these changes this time. I believe that it was the speed at which they were done. One week we go in to bowl and everything is familiar; the next week the furniture has been moved. That is it. They rearranged the furniture and didn’t tell us or let us help. It was just done. If someone came into our home and did this we would not be able to stand it. I understand their right to fix things up and change rules but at whose expense. In the end it will be be theirs because we don’t like change. get rid of it one bag or box at a time. We have all cleaned up an area. We can spend hours doing it, but it won’t stay that way very long. We will start to pile it up all over again. All because we did it too fast; we worked too hard and we crashed and burned in the process. Do a little every day and see the changes start to happen in babysteps. One day you will wake up and your house will be clean and you didn’t even know you were doing it. Please don’t allow your perfectionism to rip off the clutter that you have been protecting yourself with. Learn about why you collected it and gradually let it go. If you strip it all away, you will just put it back with a vengeance. It is like going on a crash diet. We all have lost the weight but when we stop the diet it all comes back because we didn’t address the real problem of why we ate it (collected it) in the first place. Be good to yourself. We don’t want you to feel uncomfortable. The peace will come with consistent babysteps. You can do this. We have a couple of books to help you find the Hidden Treasure that you have lost. the first book is my book Sink Reflections, 2nd book Body Clutter, 3rd book, CHAOS to Clean, and my newest book The CHAOS Cure. They are self-help books! You know how much we love self-help books. Guess what! We can read them all day and night but unless we start to do some of the things in the book; we will not see changes in our life. We all love a great story. 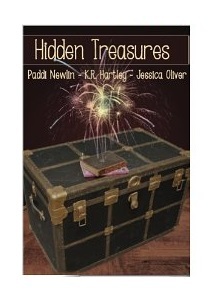 The next book is a novel that my sister wrote called Hidden Treasures. My sister has been my muse and sounding board since FlyLady started. She has read the testimonials, she has held FlyBabies’ hands as they have poured their hearts out to us, and she has listened to the God Breezes. Her book gives us a new way to teach our FlyBabies. 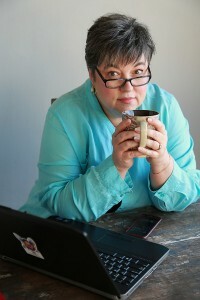 This entry was posted in Uncategorized and tagged declutter, flylady, Hidden Treasures, Sink Reflections. Bookmark the permalink.